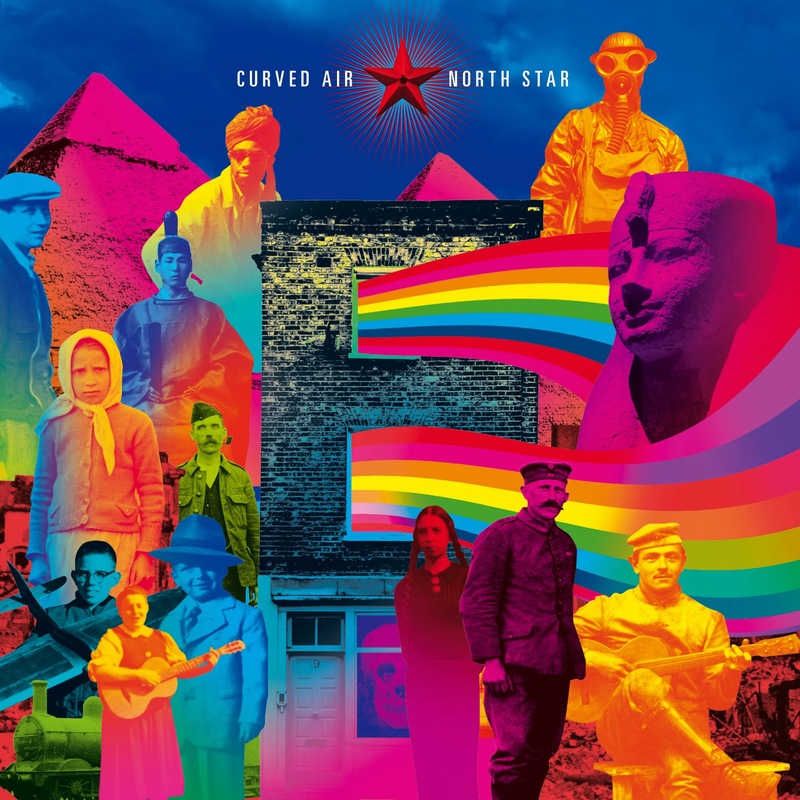 London, UK – Much to the anticipation of press and music fans worldwide, UK progressive rock legends Curved Air, featuring iconic vocalist Sonja Kristina, released a new CD 'North Star' via Cherry Red Records on March 17, 2014! 'North Star' is the band's first album featuring new studio material since 1976! The full-length CD features a mixture of re-recordings, cover songs and seven new original compositions, all housed in a lavish digi-pack. Curved Air, originally formed in 1969, is a groundbreaking progressive art-rock band renowned for their showmanship. Each member pushed the boundaries of possibilities for rock music performance. Vocalist Sonja Kristina won the hearts of a generation of music lovers and was voted top British Female Vocalist of the 1970's whilst the three top twenty albums that this lineup released are regarded as classics. Breaking through from the underground scene into top of the early '70s album charts, Curved Air's musicians hailed from mixed artistic backgrounds, including classic, folk and electronic sound. The resulting sound of the band is a mixture of progressive rock, folk rock and fusion with classical elements. Along with High Tide and East of Eden, Curved Air was one of the first rock bands after It's a Beautiful Day and The United States of America to feature a violin. Considered (according to AllMusic) “one of the most dramatically accomplished of all the bands lumped into Britain's late-'60s prog explosion, Curved Air released eight studio albums (the first three of which broke the UK Top 20) and had a hit single with 'Back Street Luv', which reached number 4 in the UK. Numerous band splits and reformations have occurred since then but the current line-up of Sonja Kristina, Florian Pilkington-Miksa, Chris Harris, Robert Norton and Paul Sax have been together since 2009”. With classic era guitarist Kirby Gregory rejoining the band in 2013. Curved Air's music was also described as “'Art Rock', the quasi classical imprints of Terry Riley hooked onto beautiful and demonic violin combined with electronic adventurous synths and interwoven with brilliant guitar wizardry mesmerisingly embroidered by the subliminal and exotic presence of a unique girl lead singer Sonja Kristina”. Though progressive music pioneers they were hailed as Pop Stars when the sultry “Back Street Luv” was a Top 5 hit in 1971. All of the players impress. Although only drummer Florian Pilkington-Miksa is from the original line-up, Sonja has found some stunning new instrumentalists who immerse the audience in a set of swirling, whirling solos that emphasize moods and nuances and floating waves of sound that act as a counterpoint to Sonja's dramatic sense of theatricality. Much to the excitement of Curved Air fans, classic-era guitarist Kirby Gregory returns to the fold for 'North Star'!